Content26 employees have so many adorable, zany pets that it proved impossible to choose one favorite. Here are our top-voted furry friends. Walter Sotoma III was named after the great Chicago Bears running back Walter Payton, aka “Sweetness.” By the age of two, Walter had already committed armed robbery, trespassing, and aggregated assault. All of Walter’s victims were hapless neighborhood dogs who Walter stalked in his quest to steal all the dog toys he could find. These days, Walter has reformed, starting a promising new career as a dog trainer. Kunik, aka “Kunie Baloony,” was born in rural Texas, his parentage unknown. 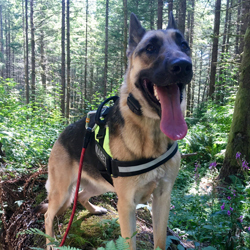 He and his two brothers were orphaned after a house fire and subsequently moved to the Pacific Northwest where they were adopted via a shelter specializing in large breeds. 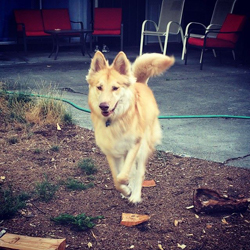 His fabricated bio listed shepherd and malamute in his genetic background, but DNA testing indicates Kunik is descended from coyotes and/or wolves. Despite his wild genes, he has the mind of a baby kangaroo, and only wants to socialize, roughhouse, and cuddle with friends of all species and ages. As a likely direwolf, he now shares a supernatural connection with a human toddler, their bond proved by their shared gregarious nature and gorgeous golden-red hair. Paolo was a troublemaker running the streets of Los Angeles when his luck ran out and he was eventually incarcerated for his evil deeds. At Coyote Ridge Corrections Center, Paolo spent 3 months helping rehabilitate incarcerated humans and, in return, they helped rehabilitate him. 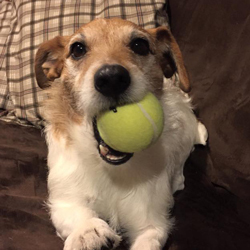 The Jack Russell Terrier mix graduated from their program and was allowed back at the shelter where his human mom eventually picked him up and took him to Seattle. Paolo lives with his two human moms, two human brothers, and a canine sister. He loves to hunt and eat flies, chase tennis balls, dig after moles, nap, and stare at his human family while they eat dinner. 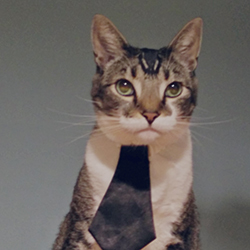 Audrey Hepburn (nèe Gary Busey) recently retired from her position as content26′s official mascot when, during one of the company’s annual cleaning sessions, her dried spittle was discovered on all of the printer cables, Cat5 wires, and surge protectors. A lifelong lover of all things that squeak, this overweight Pomeranian currently resides on a 15,000-square-foot lot in suburban Washington with an old black cat who can easily dismantle her nose from her face, two children who think she runs on batteries, a woman who once read a news account of an Australian Pomeranian who ate a baby, and a large man who shears her fur several times a year for his children’s Christmas stockings. 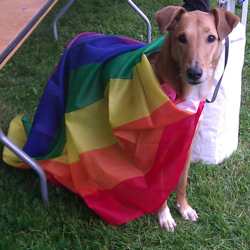 Jake is a five-year-old Smooth Coat Collie/Saluki mix and currently holds the title of Official content26 Mascot. Raised in the Tennessee backwoods, Jake comes from a troubled background where he was mistreated by his owners. 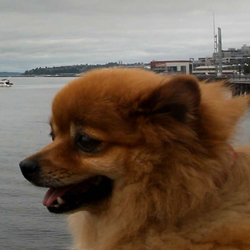 But happily he was rescued and placed in a good home in Seattle. It is rumored that he was twice named “West Coast Canine Magazine Dog of the Year,” is a classically trained concert violinist, and barks fluent Portuguese. But all sites purporting those rumors were removed in the most recent Google algorithm updates. He is also the reason why content26 has half-chewed bones scattered throughout the office and why all UPS drivers are forced to sign waivers before entering the building.